Balqees Bibi, mother of nine children, attended a training on making home usage products organized by Caritas Pakistan in Multan and now produces a shampoo for her regular customers, most of them her family and friends. She used to work as maid in different houses but it was getting hard to feed the large family. Most of the time they could not get three meals a day. “Prices are rising every day. I could not send my children to school for education”, she said. 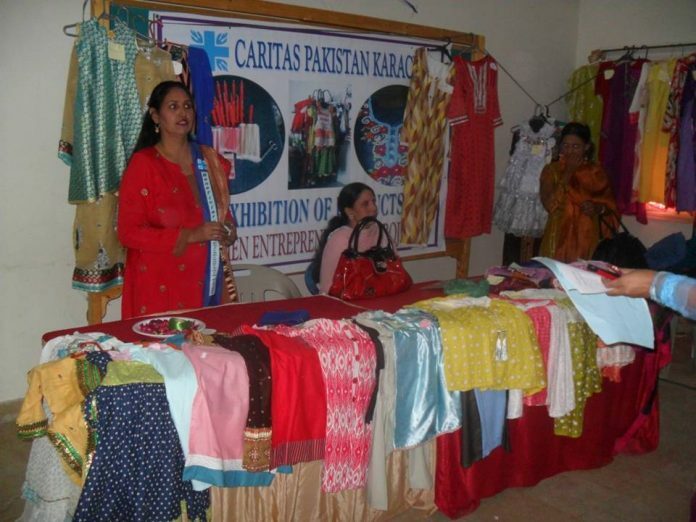 Caritas Pakistan Multan organized the women entrepreneurship trainings at Chak No. 447/EB, Burewala, Districy Vehari under Livelihood Program last year. Surf making, shampoo making, powder making, were the main products which Caritas team taught with pracrtical demonstration. The hunger situation is now better because Balqees doesn’t have to work outside till evening, her brand is getting popular and income is now slowly puring in on regular basis. “If this training had not helped me, I would have stayed poor all my life. Now I have enrolled the younger chidlren at school and they have a future”, shared Balqees with a smile.